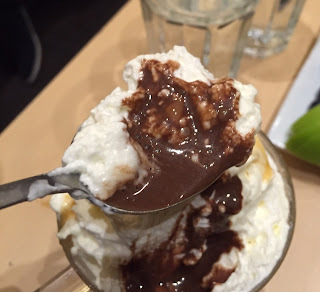 The Caramelia at Juliette et Chcoolat is "Our grandma's style dark chocolate and real milk caramel, topped with whipped cream and caramel coulis." 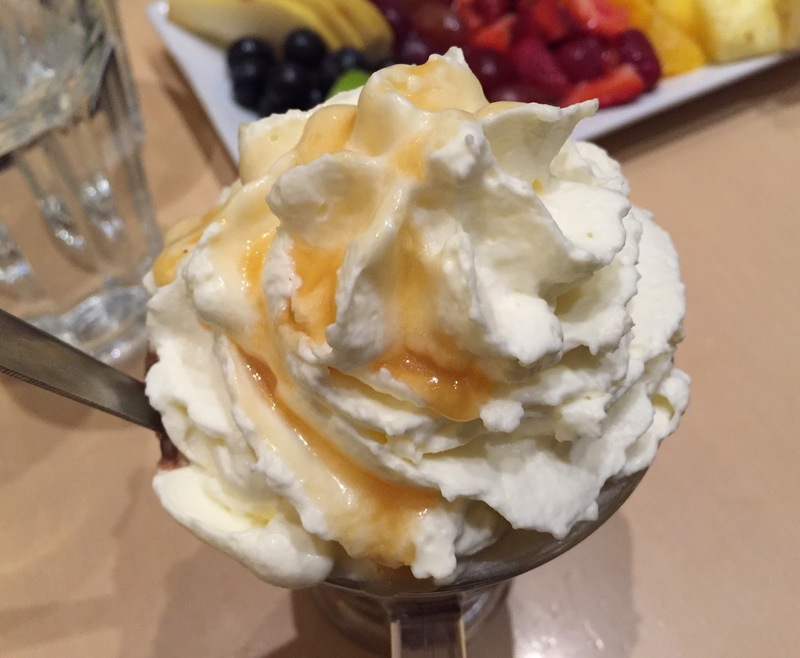 Over a mountain of whipped cream, there's shiny and pale colored caramel sauce. 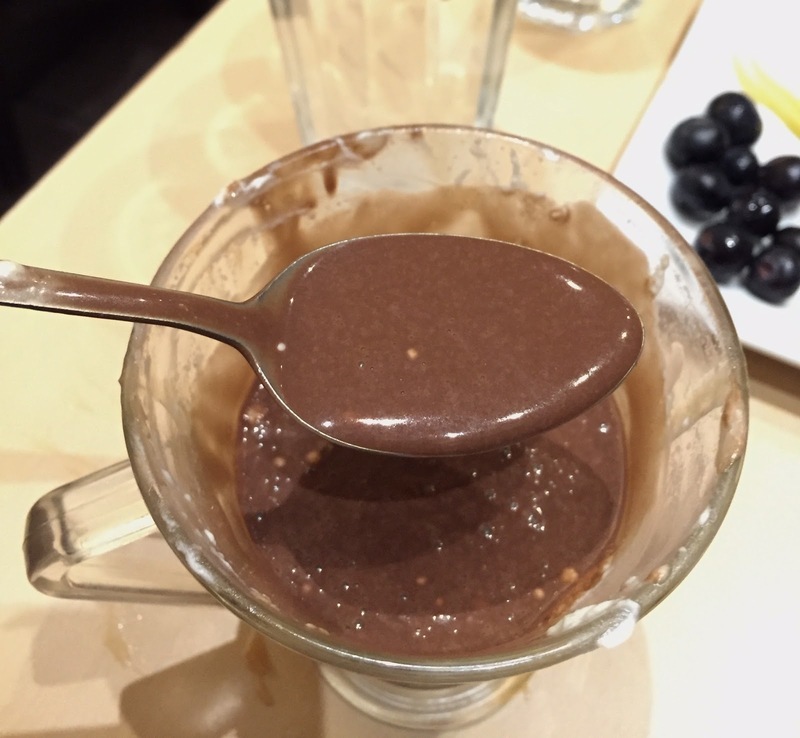 As it's dark chocolate, it's not that sweet and it's rather to enjoy the flavor of cacao. 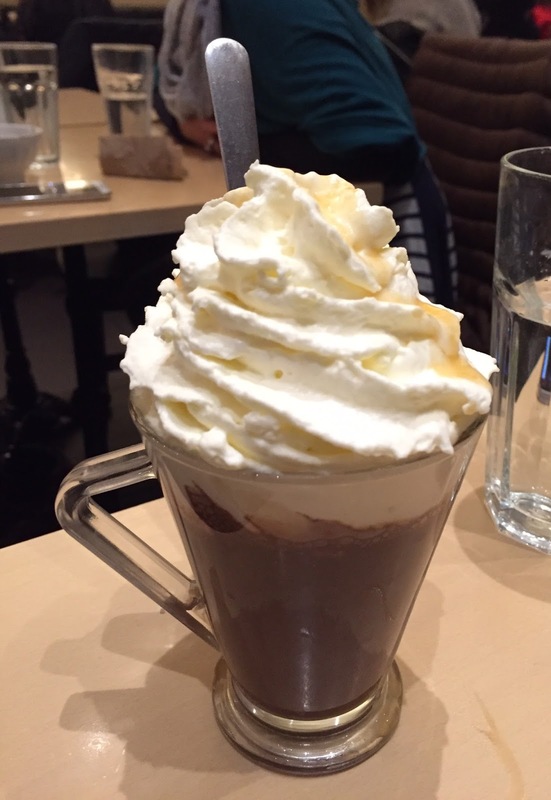 The dark chocolate flavor was strong and it's hard to tell caramel flavor, but when mixed with the whipped cream and caramel coulis, it became slightly less bitter.